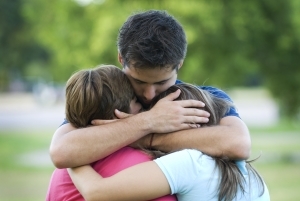 The Pacific Legal Group is here to help you with the probate process when a loved one dies. Probate is the court-supervised procedure that takes place after someone dies without a Trust. It includes proving in court that a deceased person’s will is valid, inventorying and appraising the deceased person’s property, paying debts and taxes, and transferring ownership of property, assets and personal effects to beneficiaries listed in the Will (or by Utah state law, if there is no will). Probate attorney and court fees are paid from the estate. The Personal Representative of the Estate, usually a family member, may also receive a fee. The Pacific Legal Group can provide you with advice regarding the terms of the decedent’s will, prepare and file all of the necessary Court papers, provide guidance to the Executor regarding his or her duties, and represent the estate in all Court proceedings. We can also assist you in preparing your own will or trust. Please feel free to call us if you have any questions about the probate process or wish to prepare for such eventualities.